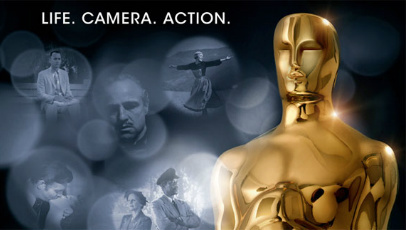 At a glitzy awards ceremony in Hollywood, California this evening, the winners of the 84th Academy Awards were announced. Hosted by Billy Crystal, with presenters including Penélope Cruz, Cameron Diaz, Tom Cruise, Tom Hanks and Melissa Leo, the ceremony delivered on big-named guests, subtle jibes, welcomed surprises and plenty of comedy. The Artist and Hugo tied with five awards a piece, with The Artist claiming Best Picture. The nominations for the 84th Academy Awards were announced earlier today by Academy president Tom Sherak and Winter’s Bone actress, and previous Best Actress nominee, Jennifer Lawrence. Leading the way is Hugo with eleven nominations, closely followed by The Artist, which nabbed an equally impressive ten. 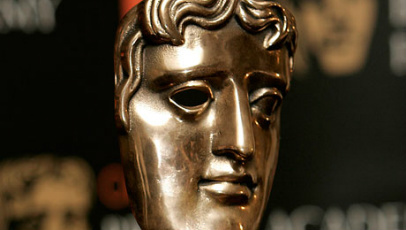 The nominations for the 2012 Orange British Academy Film Awards (BAFTA’s) were revealed earlier this morning by Daniel Radcliffe and Holliday Grainger. The Artist lead the way with a whopping twelve nominations, with Tinker, Tailor, Soldier, Spy following closely behind with a still impressive ten. 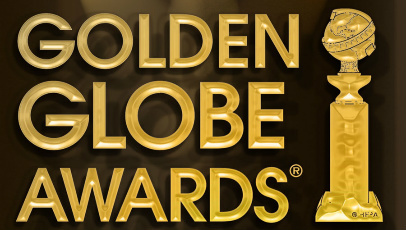 At a glitzy awards ceremony in Beverly Hills, California, the winners of the 69th annual Golden Globe Awards were announced, with The Descendants, The Artist and Martin Scorsese winning the night’s top prizes. In terms of acting, George Clooney, Meryl Streep, Jean Dujardin and Michelle Williams walked away winners for their performances in The Descendants, The Iron Lady, The Artist and My Week With Marilyn, respectively. While 2011 hasn’t exactly been a year of record-breaking box office success, it has been a fantastic one for British cinema, emerging talent and unique independent features which found themselves surpassing the popularity of many much bigger movies. So far, 2011 has been a fantastic year for film. Below, I’ve compiled a list of my ten favourites from the last six months, with a few honourable mentions that just missed out on a place. Finally, I’ve listed some somewhat less honourable mentions that you should probably avoid at all costs. Mark Romanek’s shamefully overlooked adaptation of Kazuo Ishiguro’s momentous novel Never Let Me Go wasn’t exactly the hit Fox Searchlight were banking on, but that didn’t stop it being a beautifully explorative, acted and directed piece of cinema. This Australian crime-thriller rose from the underbelly, picking up momentum thick and fact for its astoundingly honest portrayal of a fully functional crime family. Striking direction, raw performances and compelling source material have made well worth seeking out. Joanna Hogg’s stark look at family turmoil is beautifully captured and carefully paced to provide a deeply resonant and affecting glimpse into the highs and lows of family life and what makes people tick. Multi-faceted Xavier Dolan follows in the footsteps of acclaimed filmmakers Gus Van Sant, Pedro Almodóvar and Wong Kar Wai to write and direct Heartbeats, a film of true beauty, wisdom and depth beyond its years. Studio Ghibli’s sprightly interpretation of Mary Norton’s acclaimed children’s book The Borrowers is directed by Hiromasa Yonebayashi, under the watchful eye of filmmaker extraordinaire Hayao Miyazaki. Arrietty boasts some truly illustrious animation and a score by French musician Cecile Corbel that made me go weak at the knees. Kristen Wiig, well known for her long-standing stint on Saturday Night Live, was launched to stardom with hit comedy Bridesmaids. Directed by Paul Feig, the film features an array of flawless comedic performances, unforgettable gags and the goddess-like figure Rose Bryne. Niall McCormick’s British coming-of-age film premiered at the 65th Edinburgh International Film Festival to rave reviews. Written by burgeoning writer Tamzin Refn, Albatross is a fully realised and thought-provoking piece of cinema, chock full of heart, depth and humour to boot. If Jessica Findlay-Brown doesn’t become a star, then there’s something seriously wrong with the world. Granted, this film opened last year in America, but due to different release schedules it was early January before I had a chance to see Natalie Portman give an Academy Award winning performance in Darren Aronofsky’s daringly dark psychological ballet thriller. Hauntingly brilliant. Former IT Crowd actor Richard Ayoade made his directorial debut with the mesmerising, outlandish and warm-hearted indie comedy Submarine. The entire cast, not least relative newcomer Craig Roberts, delivered remarkable performances. This emotionally crippling insight into one couple’s turbulent relationship shot Ryan Gosling and Michelle Williams back into the limelight, and earned them a few dozen award nominations in the process. After years of suffering various unfortunate setbacks, Derek Cianfrance’s passion project came to fruition with such intensity that it was hard to ignore. From the offset I was hooked, so it’d be impossible for Blue Valentine not to be my top film of the year so far. Films of notable interest: Hobo With A Shotgun, Trust, Project Nim, Attack The Block, Rango, The Extraordinary Adventures Of Adèle Blanc-Sec, Rubber, Pina 3D, Scream 4, Winnie The Pooh, Meek’s Cutoff, X-Men: First Class, The Silent House, 13 Assassins, Perfect Sense, Thor and Cave Of Forgotten Dreams. Films to think no more of: Mars Needs Moms, Larry Crowne, Ghosted, I Am Number Four, The Rite, Faster, Chalet Girl, Red Riding Hood and Battle: Los Angeles.